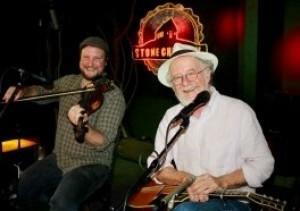 Jordan Tirrell-Wysocki and Jim Prendergast play every Thursday at the Stone Church in Newmarket. WARNING: contact venue to be sure these event are happening, due to holiday season. >>>Scottish Country Dance /w Loren Wright leading at The Church of the Good Shepherd ~ Nashua, NH ~ 7:00 PM ~ 603-891-2331 or nashuascd@comcast.net WARNING: contact venue to be sure this event is happening due to holiday season. >>>New Year's Eve Dance at Tracy Hall ~ Norwich VT ~ Newcomers 7:45, dance starts at 8pm ~ http://uvdm.org/ ~ Celebrate the coming of a new year with star-studded musicians and caller! Come, share, dance, and sing at the special New Year's Eve contradance in Norwich on Monday, December 31, at Tracy Hall. Live music by Calliope (Amy Cann [violin, viola, piano], Ric Salvo [clarinet], Carol Compton [piano], Bruce Randall [trombone, whistles and recorders], Marco Brehm [bass], Vince ODonnell [fiddle] and Norm Spencer [accordion]) ; caller, Nils Fredland. Everyone is welcome – no partner or experience necessary. Regular dance starts at 8, but newcomers may arrive at 7:45 for a walk-through. Please bring clean, soft-soled shoes for dancing, to preserve the well-finished floor. Admission $15, students $10; under 16 free...additional contributions welcomed. Event is sponsored by Muskeg Music; more info at uvdm.org. Pot-luck snacks at the break – please bring finger food to share! Celebratory singing at midnight.